British American Tobacco is looking for a digital agency to handle the launch of a new range of luxury tobacco products. The group, which owns brands including Dunhill, Kent, Lucky Strike and Pall Mall, has been in direct contact with digital agencies to invite them to pitch for the business, which involves testing the market with a new pilot range. British American Tobacco, along with other tobacco companies, is fighting a government consultation into stripping cigarette packets of all branding. Previous digital marketing by the company was slammed by the anti-smoking group Action on Smoking and Health, which claimed British American Tobacco was promoting a "school of cool" among young smokers. Action on Smoking and Health has accused the company of using sponsorship of music festivals, sporting events, celebrity endorsements and viral marketing campaigns on youth-oriented social media sites such as YouTube and Flickr to "recruit" around 750,000 young smokers each year. Tobacco advertising was banned in 2003, followed by promotions, direct marketing and sponsorship one year later. 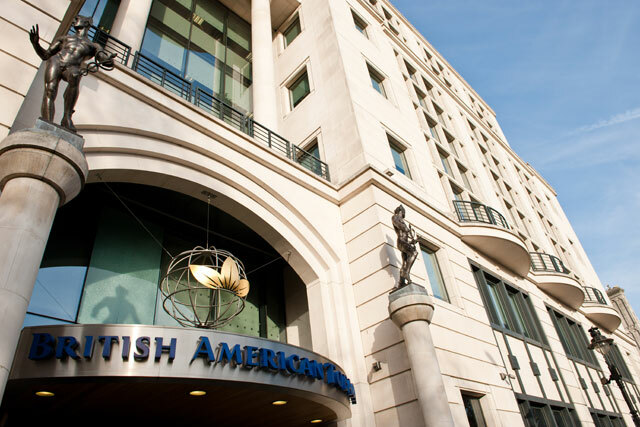 British American Tobacco is the second-largest quoted tobacco company in the world by market share and has operations in more than 180 countries.